Hello! I'm still here! Just in the middle of gardening season and getting my perennial bed sorted out so I have dirty paws lately. 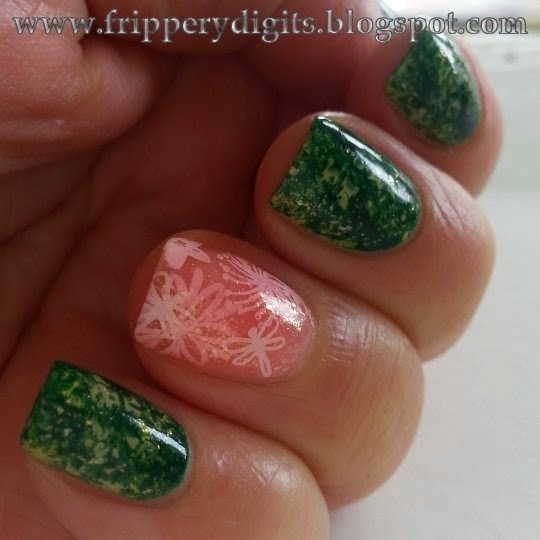 So I pulled a manicure from the not so distant past, that I created to celebrate the first days of spring. I forgot what combinations of polish I used for this manicure--pretty sure the base green is Barielle Mint Ice Cream Cone, and I put a light coat of Covergirl Boundless Color Pink Twinkle over every nail before sealing with my favorite topcoat Seche Vite. 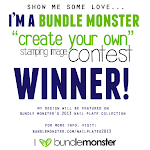 I used image plates: BM003 (flower), BM-204 (green, stamped twice), BM-410 (dragonfly), as well as one Cheeky XL plate. The pink nail is a kind of pond manicure with a sheer pink jelly. Do you have a favorite spring manicure? Or a favorite colour nail polish this spring/summer? 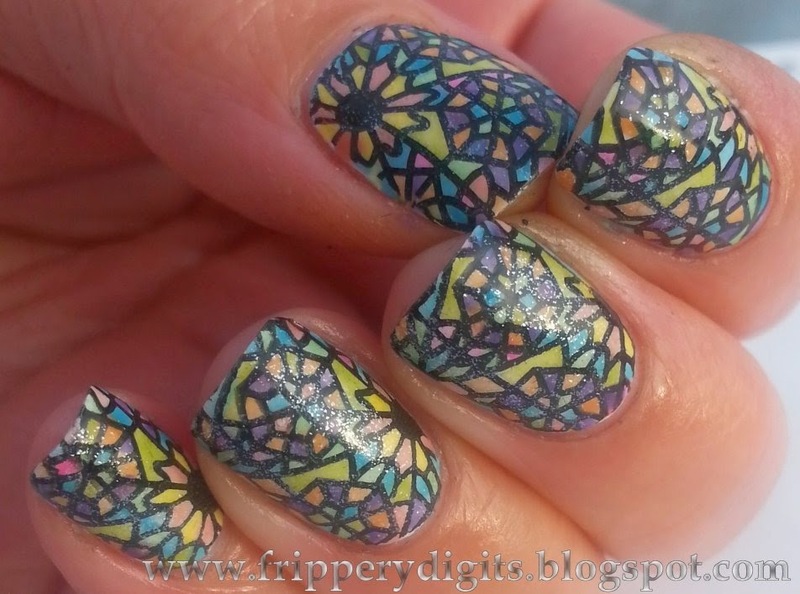 Stamped using a frankened black and stained glass image from Cheeky XL Plate "A"
This manicure wore like iron. I lightly sanded my nails, and because I knew I'd be adding a coat of sparkle I didn't want to stack up too many layers, I opted to only use one thin coat of white. I applied it as evenly as I could get it. Once the stamp and sheers went on top the unevenness was hardly noticeable. I wore this for a full week! Big win, considering the time it took to meticulously fill in all those little spaces. Totally WORTH IT. I got tons of compliments and they felt SUPER pretty! Even when the tips began to chip a bit it was not really noticeable. The winners of my Gone So Long Giveaway have responded by the deadline, and their parcels are going in the mail this afternoon! Congratulations! I can't wait to start amassing some new goodies for the next giveaway! 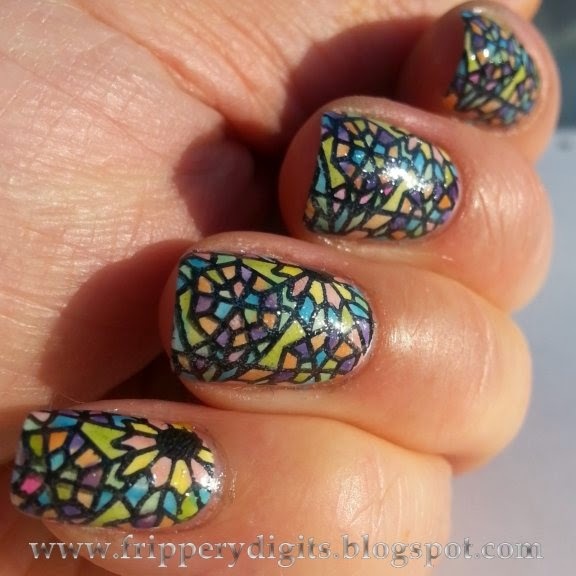 Do you have a favorite leadlight manicure? Please send me to see it! How was your Easter? 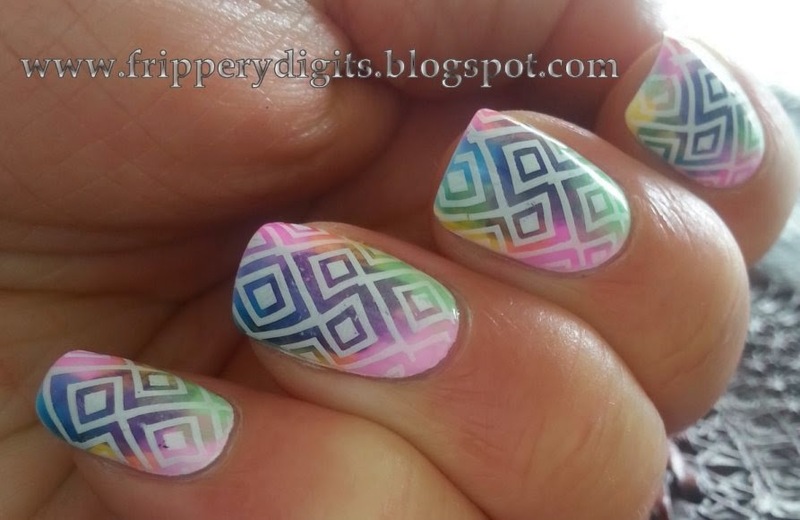 I wore this eggtacular mani for the weekend. Alas, it is chipped so I can't keep it much longer, but it was fun while it lasted! Blobs of all five of my home made franken sheer goodies! Seche Vite to seal it all up! What did you wear for Easter? Go ahead, give me another lemming! I definitely don't mind! In other exciting news, my Gone So Long Giveaway has ended! The winners have been notified via email from my fripperydigitsblog gmail address. Congratulations! Please email me back asap! I realize now I never put a deadline for response in my Giveaway announcement post, but it's usually 48 hours. I will give you until the end of Wednesday April 23 to respond. Thank you all for peeking! Happy Polishing!